Table 1. Characteristics of interviewed initiatives. Table 2. Summary of results. This research explores the role of social capital in urban citizens’ initiatives in the Netherlands, by using in-depth interviews. Social capital was operationalized as shared norms and values, connectedness, trust and reciprocity. The findings show that initiatives form around a shared idea or ambition (shared norms and values). An existing network of relationships (connectedness) is needed for an idea to emerge and take form. Connectedness can also increase as a result of an initiative. Some level of trust between people needs to be present from the start of the initiative. For the initiative to persist, strong in-group connections seem important, as well as a good balance between investments and returns. This reciprocity is mainly about intangible assets, such as energy and friendship. This study concludes that social capital within citizens’ initiatives is both a prerequisite for the formation of initiatives and a result of the existence of initiatives. Explorar, mediante la realización de entrevistas en profundidad, el papel del capital social en las iniciativas de los ciudadanos de zonas urbanas de los Países Bajos. Se conceptualizó el capital social como normas y valores compartidos, conectividad, confianza y reciprocidad. Las iniciativas se forman alrededor de una idea o ambición compartida (normas y valores compartidos). Es necesaria la existencia de una red de relaciones previa (conectividad) para que una idea surja y tome forma. 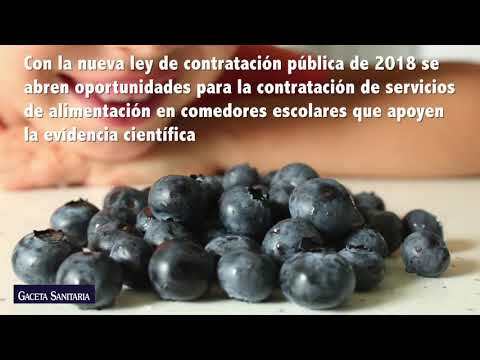 La conectividad también puede incrementarse como resultado de la iniciativa. Desde el inicio de la iniciativa debe estar presente un nivel mínimo de confianza entre las personas. Para que la iniciativa persista, parecen importantes las conexiones fuertes dentro del grupo, así como un buen equilibrio entre los esfuerzos y los beneficios obtenidos. Esta reciprocidad se refiere principalmente a bienes inmateriales, como la energía y la amistad. Este estudio concluye que el papel del capital social en las iniciativas de los ciudadanos de zonas urbanas es tanto un requisito para la aparición de iniciativas como el resultado de la existencia de algunas iniciativas. In reaction to a retreating government citizens increasingly take action to work on concrete solutions to societal challenges, thereby contributing to the quality of their living environment and life.1 In many urban areas of the Netherlands citizens’ initiatives take shape, having goals such as maintaining a community garden, caring for elderly or to collectively install solar panels in a neighbourhood. Initiatives are started by a diversity of actors such as urban citizens, farmers, associations and social entrepreneurs. Because citizens act upon their own ambitions and aspirations (such as seeking a sense of fulfilment) through these initiatives, new responses to societal needs are created that might not have been proposed by the market or the public sector.2–6 Besides addressing local needs, these initiatives create new opportunities by taking a different approach than the public or the market sector and by having a strong motivational component. Since we wished to explore the role of social capital (and the interplay between its sub-constructs) in UCI's, we used a grounded theory approach with semi-structure in-depth interviews.27 Fifteen key persons, representing seven UCIs in the Netherlands, were interviewed about their experiences with the formation and sustainability of their initiative. The respondents all had a key role within the initiative, like being a board member or one of the initiators. The included UCIs were citizens’ initiatives with green, health or sustainable development goals operating within the urban context. Examples of such initiatives are urban agriculture or urban gardening. The reason all the studied initiatives had a focus on ‘green goals’ was that this study was part of a larger project in which green citizens’ initiatives were studied. The seven initiatives were selected from 45 cases based on an inventory of UCIs in prior research on information capital in citizens’ initiatives. To compile this inventory, firstly, interviews were held with key persons concerning the role of information in citizens’ initiatives, and examples of initiatives were sought by means of an internet search, social media, networks, and previous and related research on UCIs. This resulted in a typology of 45 examples of UCIs. Of these 45 initiatives, nine were selected for the first research phase of the project on the criterion of variety in the operationalization of objectives, approaches and types of groups. From these nine, we selected two initiatives in which social capital seemed to play an important role. We further extended this with a convenience sample of five more initiatives that we encountered during presentations and discussion sessions relating to the larger research project. Table 1 provides an overview of the selected initiatives and their characteristics. The interviews were held between January 2013 and September 2014. This initiative seems to have stopped in 2016 – no more activity on their Facebook page and the website does not exist anymore. An interview guide was developed based on an operationalization of: 1) shared norms and values; 2) connectedness, networks and groups; 3) reciprocity and exchange; and 4) trust. The operationalization was translated into interview questions that prompted the respondents to talk about their experiences in their initiatives in relation to each aspect. The interview guide is attached in Appendix 1. The resulting stories of experiences within the initiatives allowed us to explore how people within UCIs experience the role of social capital in their initiative. We were interested in discussing the role of social capital in the initiative and therefore the interviews were set up as duo-interviews, interviewing two persons from one initiative at the same time. Interviewees could confer with, and respond to, each other reporting on relationships and roles within the initiative.28 All interviews lasted between 45 and 120minutes and were conducted and analysed by the first author (CW) and a research assistant. The verbatim transcripts of the interviews were analysed thematically and coded in Atlas.ti 7.1.8., using top-down and bottom-up coding.27,29 All interviews were coded by two researchers (CW and a research assistant) independently and compared afterwards. Any discrepancies were discussed between the researchers until agreement was reached. In accordance with the Grounded Theory Approach,27 the analysis was used to understand the interplay between the different sub-constructs of social capital, in order to better understand how social capital is formed. Finally, a figure was constructed to visualize the observed relations. This section describes how shared norms and values, connectedness, reciprocity and trust play a role in the seven initiatives. The numbers behind quotes refer to the initiatives listed in Table 1. A summary of the results is provided in Table 2. Connectedness - It is a prerequisite for successful formation of the initiative: pre-existing networks provide a place for new ideas to emerge and take form; it gives access to skills and resources, and it generates the energy that is needed to get things done. - As soon as investments and returns are off-balance, people become unhappy or do not want to participate anymore. - People seem to keep track of how much they invest and automatically keep a balance between their investment and return. Trust - Trust influences who joins and supports the initiative. - In the initiatives that we studied, trust grew over time as people got to know one another better. - Human capital of the core group plays a role in the way the initiatives deal with all sorts of challenges. Shared norms and values was found to work both as a binding mechanism (through having shared ideals or ambitions) and a selective mechanism for who can be part of the group. Mismatching shared norms and values can lead to conflict and hamper the initiative's success. A shared idea, ideal or ambition can make people connect and feel part of the group (or not) (sense of belonging). We observed in two initiatives (5 and 7) how mismatching shared norms and values can lead to conflict and hamper the initiative's success. Initiative 5 had quite a lot of trouble getting started. Even though the initiative was meant to be part of the neighbourhood, the core values and ideas of the people that started the initiative did not match the ideas and priorities of other people in the neighbourhood, leading to many quarrels and hampering the successful start of the initiative. Initiative 7 also seemed to have trouble with forming their group around a central idea and appear to be less successful in sustaining their initiative because of this. They describe how everyone came into the initiative having their individual goals and ideas and how that started to be more problematic along the way, because there was no vision that connected these people. We observed that pre-existing networks of relations provide a place for new ideas to emerge and take form; it gives access to skills and resources, and it generates the energy that is needed to get things done. In that sense, connectedness is a prerequisite for the formation of citizens’ initiatives. Connectedness can also be increased as a result of the formation and existence of citizens’ initiatives. Strong in-group connections and a sufficient network size was mentioned by several respondents to make the initiative evolve and proliferate. Initiative 7 confirms this idea by experiencing quite the opposite. It has had trouble with involving more people and now has difficulty in sustaining the initiative. Reciprocity and exchange appears to function as an important motivator to (continue to) participate in the initiative. Both material (e.g. tea, biscuits, seedlings) and immaterial (e.g. energy, know-how) things are mentioned as resources that are exchanged, but the immaterial resources seem most important. As soon as investments and returns are off-balance, people become unhappy or do not want to participate anymore. It seems that, in general, people keep track of how much they invest and automatically keep a balance between their investment and return. Some respondents mention cases when the balance is off, and how this can lead to frustration within the group. What people invest can change over time or differ per initiative or closeness of the connection. Whereas energy and fun seem most important in keeping the balance between investment and return, money was mentioned by some as a (temporary) solution to keep the balance right, if a person for instance does not have time to participate fully for a while. Trust influences who joins and supports the initiative. People who already belong to the initiative ask certain people to join because they trust their capabilities or personality. Knowing one another can increase trust. This might partly explain why people mainly join through people they already know (connectedness), although joining through existing networks might also be explained through the idea of ‘birds of a feather flock together’: when you already know one another, there is a higher chance of having similar ideas and values (shared norms and values). People that join have trust in the group and its goals or ambitions. In the initiatives that we studied, trust grew over time as people got to know one another better. By spending more time together and getting to know one another better, people know better what to expect of one another. The evaluation of these expectations can lead to an increase or a decrease in trust. Meanwhile, trust also seems to become increasingly important over time–trust in the viability of the initiative seems to interact with feelings of reciprocity and the motivation to continue involvement in the initiative. Emerging themes were the importance of success, luck and time, and the personalities and human capital of the core partners in the initiatives. We observed that experiences of success or seeing results increased trust between people within the initiatives, trust in the sustainability of the initiatives, and also the trust of outsiders (e.g., the municipality) in the role of the initiatives. Another emerging theme was the importance of human capital. Human capital refers to the knowledge, information, ideas, skills, and health of individuals.30 Human capital seems to be related to connectedness in the sense that the composition of the group gives access to a certain type and amount of human capital. We also observed that human capital plays a role in the way the initiatives deal with all sorts of challenges they come across, and thus the success of the initiatives. Finally, the element of time seems to play a role in relation to different aspects of social capital. The role of the different sub-constructs seems to change slightly as the initiatives evolve. In particular, trust seems to evolve over time. A certain amount of trust is needed to connect to the initiative at all, but as people get to know one another and become more familiar with the core values of the initiative, this trust seems to grow. Experiences of success in all cases seem to build trust in the initiative. Furthermore, as the initiative evolves, there seems to be a strong interaction between the sustainability of connections (having formed a stable group) and the feelings of reciprocity that are experienced. Reciprocity is needed to sustain connections, but success in making these connections is also experienced as rewarding. The observed connections between the sub-constructs of social capital are presented in Figure 1. Observed connections between the studied sub-constructs of social capital: shared norms and values, connectedness, reciprocity and exchange, and trust. An initiative starts around a shared idea or ambition (shared norms and values) related to the initiative's goal (a). In the interviews, we observed that having a shared idea or ambition can lead to the formation of a group (connectedness) (b). However, this seems to be a circular process, as the binding idea is usually not established by a single person, but between friends or neighbours. We observed that shared norms and values and connectedness enforce each other (c). The relationship between shared norms and values and connectedness is likely partly explained by sense of belonging: shared norms and values between people are likely to result in a sense of belonging, which makes it more likely that people connect (d). The shared idea that makes the group a group, influences the expectations that people have of reciprocity and exchange (e). When people comply with the expectations that exist around reciprocity and exchange, this can contribute to feeling part of the group (sense of belonging) (f). Conversely, feeling part of the group is mentioned by several respondents as being part of the reciprocity (f). Sense of belonging is then an outcome that makes it worthwhile to invest one's time and energy in the initiative. This is why we also see reciprocity as being related to motivation (g). All sub-constructs seem to be related to trust in some way. Having a shared idea (shared norms and values) seems to provide enough trust in one another to form a group (h). We observed a strong interplay between trust and connectedness, where trust seems to be a prerequisite to connect to other people (i), and being part of the same group also seems to increase feelings of trust (j). It may be that this relation between being part of the same group and trust, is a more indirect relationship between connectedness, sense of belonging and trust (k and l). The creation of trust from within the initiative also seems to be dependent on time, where trust is seen to grow over time in the initiatives that we observed. A critical remark that needs to be made here is that the opposite can also be true, even though our data did not reveal this (see limitations in the discussion). Trust can also decrease over time when, for example, people do not put in enough effort, or when efforts do not lead to results. Finally, trust also seems to be a prerequisite for the functioning of reciprocity and exchange (m). Part of the reason why people are willing to invest their time and energy in the initiatives is because they trust the fact that there will be reciprocity in the sense of feelings of fulfilment, joy, fun, and they trust that other people will also do their part. When reciprocity is indeed experienced, this in turn increases trust (n). The aim of this research was to explore the role of social capital within UCIs. From the experiences of people involved in UCIs, all four mentioned aspects of social capital play an important role. We observed multidimensional connections between the different sub-constructs of social capital, some of which seem to be circular, whereby it is unclear which aspect needs to be there first (e.g., the role of shared norms and values and connectedness in the formation of the initiative). Several connections we observed are confirmed by literature. First, the observed connection between shared norms and values and trust (h) is also confirmed in other fields of study.31,32 Secondly, we claim that trust fulfils different roles within the initiatives, being both a prerequisite and a result. This twofold role of trust can also be recognized in the literature, when for example Putnam7 assumes that the act of joining an initiative is fundamental for creating trust, and Fukuyama (in Verhaeghe33) claims that confidence within society first needs to exist for initiatives to take form. This implies that the trust aspect has different dimensions within the social capital concept. The multiple dimensions of trust are also mentioned in trust literature.34–36 Finally, we saw that reciprocity increases trust. Both Li32 and Pretty and Ward23 also argue that reciprocity plays an important role in trust-building processes. The circularity that we have observed in the connections between the aspects of social capital has also been observed by other scholars studying social capital. For example, Poder 20 identifies the circularity and identification of the concept of social capital as a problem and states that it has not clearly been established what leads to what. Like Carrillo-Álvarez and Riera-Romaní,11 we do not necessarily see the circularity of social capital as a weakness, but it does raise the discussion of whether, when studying social capital, we are studying an outcome, a process or both. Also, the circularity of the concept may imply that the concept has not been studied to the level of detail that allows for distinction between different aspects of the concept. One strength of the current research is its contribution to understanding how social capital plays a role within citizens’ initiatives, a subject that to date has been rather unexplored. Another strength is that the analysis is based on experiences of a divergent group of UCIs and that the analysis is therefore closely connected to the actual everyday reality of the studied initiatives. A potential weakness is the prior limitation to four sub-constructs to indicate social capital. Although limiting the analysis to these four concepts may not do justice to the inherent complexity of the social capital concept, this choice was made to facilitate a comprehensible analysis of the role of social capital within citizens’ initiatives. As we could not find any prior research on the role of social capital within initiatives that could be used to aid analysis, some simplification of the concept was needed. Also, the small sample of initiatives and the fact it was largely a convenience sample limit the generalizability of this study. Finally, it stands out that the experiences with trust all seem to be rather positive in our data. As it is known from other studies that trust can also be lost in the process of group formation, this may point at a selection bias, whereby we included only initiatives that have been reasonably successful. This should be taken into account when the findings of this study are being interpreted. The current research should be repeated and extended to more initiatives, also in sectors with other than green and sustainable development goals. The proposed relationships between concepts should eventually be tested by quantitative research to collect additional evidence on their strength and direction. Social capital is known to be an important resource for communities’ and individual health and wellbeing. It is known that the formation of citizens initiatives is connected to social capital. It is debated however if such initiatives are a result of social capital, if social capital builds up as a result of such initiatives, or both. Although much has been written on the importance and effects of social capital, there is a lack of understanding of the process of building social capital. This study explored how social capital plays a role in the formation, realization and success of urban citizens initiatives. We observed multidimensional connections between the different sub-constructs of social capital, some of which seem to be circular. Better understanding of these mechanisms may help practice that aims to increase social capital to improve community health and wellbeing. This research was part of a four year project executed by all authors. The principal idea and design of this study was formed by all authors (CW, LV, RvD, JH and IS). Data collection and analysis was performed by CW and a research assistant. The interpretation of the results was discussed among all authors. CW wrote the manuscript with help of LV. All authors read and commented on the manuscript. This work was supported by the Wageningen University IP/OP strategic research programme Informational Governance. We would like to thank Evelien Janssen for her assistance in data collection and analysis. This is a translation of the original interview guide, which was in Dutch. The questions are meant as a guideline for a semi-structure interview, thus the guide indicates which themes were addressed, but the formulation of the questions has not been taken literally. Could you please tell me more about yourself and your role in the initiative? How did the initiative start, how did it develop and where are you now? How would you describe your relationship with the municipality? Do you experience support (financial, knowledge, network, etc.) of the municipality? If yes, could you give examples that show the way the municipality supports your initiative? How would you describe the relationship with these people? One-sided/two-sided, intensive, not intensive, …? Could you make a division of the actors in those that are more and less important to reach the goals of the initiative (number 1 as most important, 2 slightly less important, etc.)? What makes these actors more or less important for the initiative? Short summary of what has been discussed. Is there something you would still like to add or tell me? Community volunteering as a neo-liberal strategy? The case of green space production in Berlin. R. van Dam, M. Duineveld, R. During. Delineating active citizenship: the subjectification of citizens’ initiatives. R. van Dam, I. Salverda, R. During. Strategies of citizens’ initiatives in the Netherlands: connecting people and institutions. M. De Wilde, M. Hurenkamp, E. Tonkens. Flexible relations, frail contacts and failing demands: how community groups and local institutions interact in local governance in the Netherlands. Self-service society: participative politics and new forms of governance. L. Van der Graaf, M. Van Hulst, A. Michels. Enhancing participation in disadvantaged urban neighbourhoods. Bowling alone: the collapse and rivival of American community. Neighborhood associations and social capital. G. Stoker, G. Smith, W. Maloney, et al. Voluntary organisations and the generation of social capital. The measurement of social capital. C. Carrillo Álvarez, J. Riera Romaní. Measuring social capital: further insights. Social cohesion, social capital, and health. R. Putnam, I. Light, X. de Souza Briggs, et al. Using social capital to help integrate planning theory, research, and practice: preface. What is social capital? A comprehensive review of the concept. Social capital and community governance. What is social capital and how does it relate to health. K. Lochner, I. Kawachi, B.P. Kennedy. Social capital: a guide to its measurement. What is really social capital? A critical review. Building social capital: the role of local government. Social capital and the environment. Social capital and the collective management of resources. S. Fey, C. Bregendahl, C. Flora. The measurement of community capitals through research. R. Patulny, P. Siminski, S. Mendolia. The front line of social capital creation – a natural experiment in symbolic interaction. Analysing qualitative data in psychology. D.L. Morgan, J. Ataie, P. Carder, et al. Introducing dyadic interviews as a method for collecting qualitative data. Friese S. Qualitative data analysis with ATLAS. ti. London: Sage; 2014. Social capital, intellectual capital, and the organizational advantage. The effects of trust and shared vision on inward knowledge transfer in subsidiaries’ intra- and inter-organizational relationships. Individual social capital, neighbourhood deprivation, and self-rated health in England. Trust as a multilevel phenomenon across contexts: implications for improved interdisciplinarity in trust research. Consensus on conceptualizations and definitions of trust: are we there yet?. R.J. Lewicki, D.J. McAllister, R.I. Bies. Trust and distrust: new relationships and realities. The evolution of an ecosystem approach: the diamond schematic and an adaptive methodology for ecosystem sustainability and health. Social ecological approaches to individuals and their contexts: twenty years of health education & behavior health promotion interventions. D.D. Perkins, J. Hughey, P.W. Speer. Community psychology perspectives on social capital theory and community development practice. J. Hassink, I. Salverda, L. Vaandrager, et al. Relationships between green urban citizens’ initiatives and local governments.